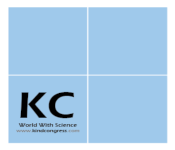 World Rare Disease 2019 Scientific Committee will be honored to welcome you to attend the 2nd World Congress on Rare Diseases to be held during November 28-29,2019 at Helsinki, Finland with the theme “Hope: The Best Therapy for Rare Diseases”. 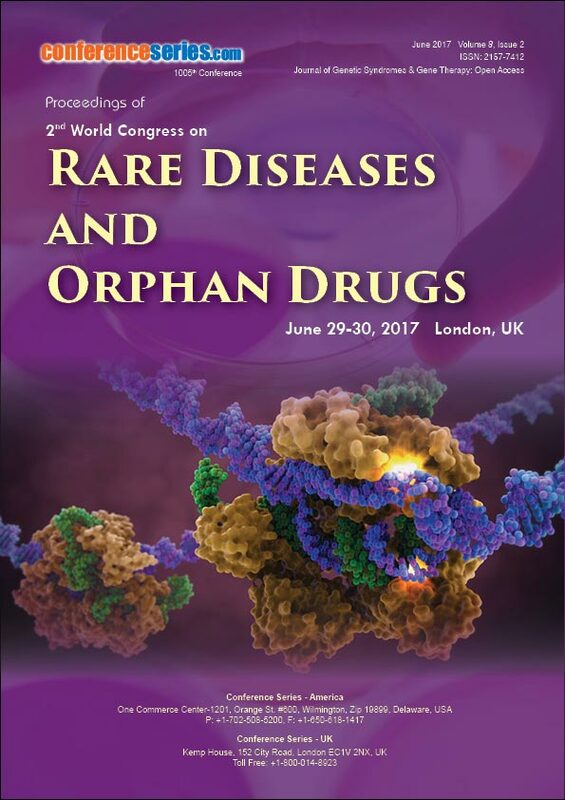 A rare disease, also known as orphan disease, is any disease that affects a small percentage of the population. It can be difficult to receive a diagnosis for a rare disease. Rare diseases are life-threatening or chronically debilitating diseases which, when grouped together, are more common than you may think. Most rare diseases are genetic, and are present throughout a person's life, even if there are no immediate symptoms at an early age. 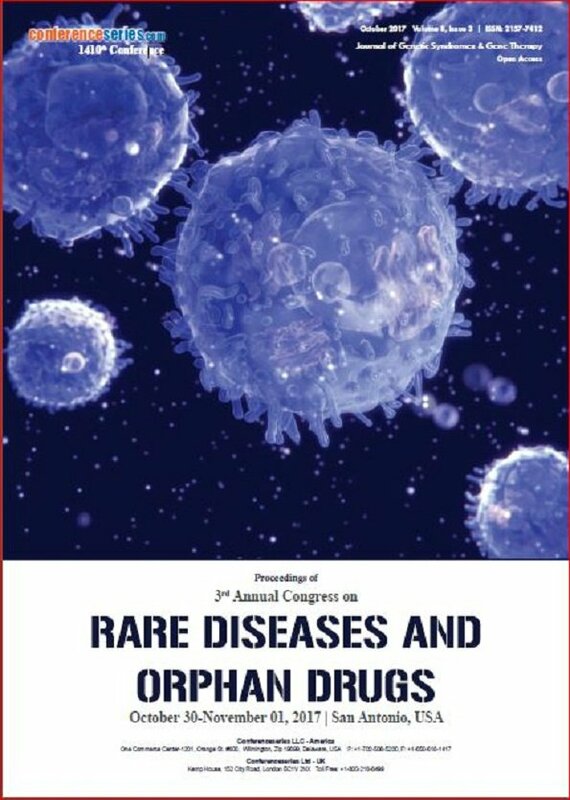 World Rare Diseases 2019 gives the premier interdisciplinary gathering for Microbiologists, Bacteriologists, Virologists, Pharmacists, Neurologist, Cardiologist and Healthcare Experts to present their latest research results, thoughts, developments, emerging innovation and applications in all areas of rare diseases and orphan drugs. 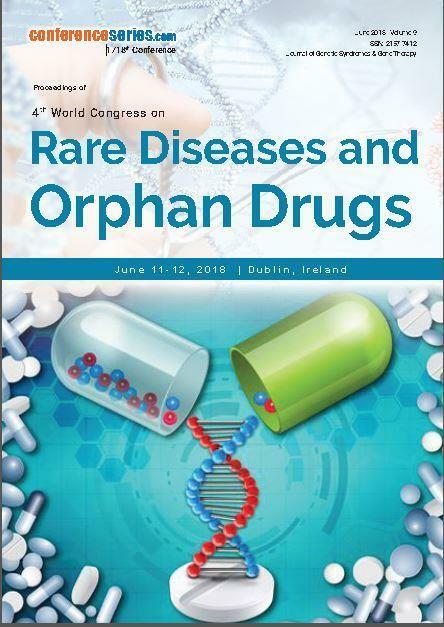 World Rare Diseases 2019 is giving a worldwide stage to analysts that afford new insights into the concealed rare diseases. 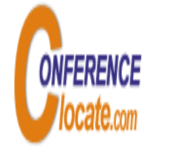 This conference will feature a global audience of scientific leaders, academia and health care professionals, and Orphan Drugs experts who are going to discuss today’s emerging treatments and diagnostics. 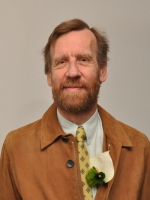 It is designed to provide an educational forum that stimulates clinical, research, government and patient communities to create a coordinated and comprehensive approach for advancing the implementation of research, clinical care, care delivery coordination and other public health interventions critical to improved outcomes in Rare Diseases. A Rare disease is any disease that influences a very less number of the population. Rare illnesses include rare cancers such as childhood cancers and a few other well-known conditions, such as cystic fibrosis and Huntington’s disease. The vast majority of rare infections will affect far less than this – a few will affect only a handful, or even a single individual. This is the case of thalassemia, anaemia of genetic origin, which is rare in Northern Europe, but it is frequent in the Mediterranean region. Many rare diseases appear early in life. The exact cause for many rare diseases remains unknown. But Environmental factors, viral infections, genetic mutations, diet, smoking, or exposure to chemicals, also can play a role in rare diseases. 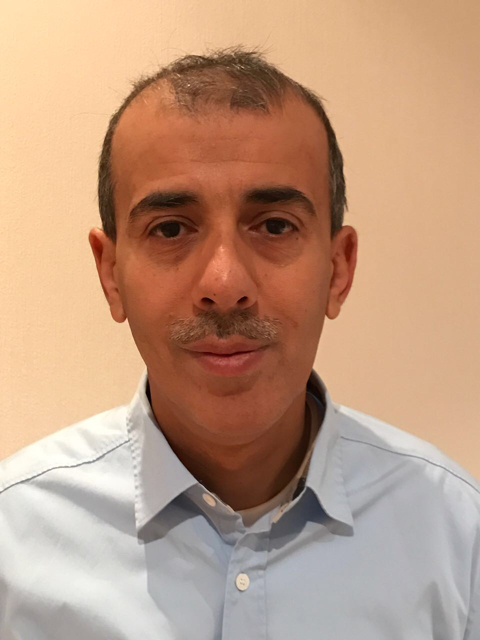 Due to the rarity and differences of rare infections, research needs to be worldwide to guarantee that specialists, researchers and clinicians are connected, that clinical trials are multinational and that patients can benefit from the pooling of resources over borders. It is still a reality for rare disease patients to spend a long time within the health care system before an exact conclusion is made. Research in rare infections is crucial as many patients still need proper diagnosis and left without compelling medications; it is also an region where expertise is also rare. In addition, research in this region is exceptionally significant from the scientific point of view as rare diseases are model diseases for more common disorders and are strong drivers of innovation. Next-generation sequencing and progressed information sharing have resulted in faster discovery of gene disease and thus diagnostics . 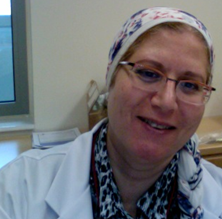 Focusing within the coordination between medical, social and support services in order to handle the challenges that people living with a rare disease and their families around the world confront each day. Even if rare disease patients and their families face many challenges, enormous progress is being made every day. Most rare diseases have no cure, so living with a rare infection is an on-going learning experience for patients and families. Day-by-day, hand-in-hand, together we present a united voice to advocate for the treatments, care, resources and services we all need. Managing these care-related tasks alongside their usual daily activities such as work, school and leisure time can be challenging. Drugs that are not developed by the pharmaceutical industry for economic reasons but which respond to public health need. 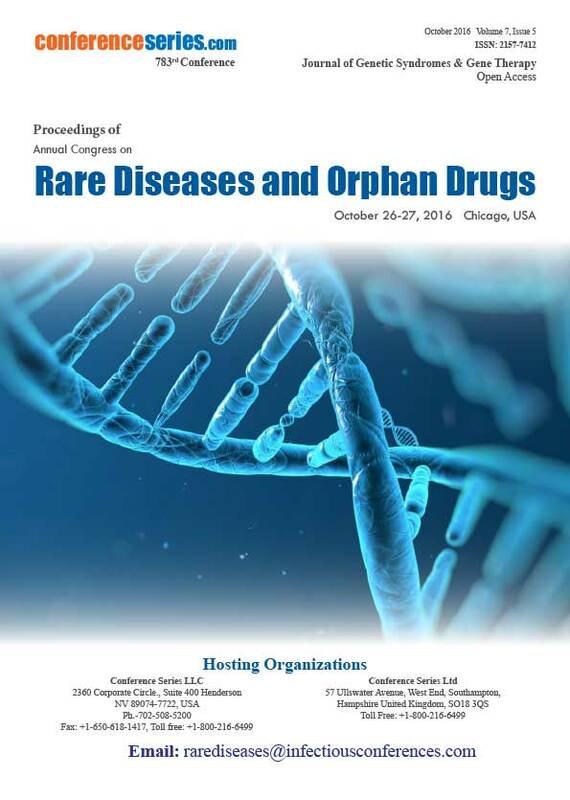 Orphan drugs' are intended to treat diseases so rare that sponsors are reluctant to develop them under regular marketing conditions. The process from the discovery of a new molecule to its marketing is long, expensive and very uncertain. Developing a drug expecting to treat a rare disease does not allow the recovery of the capital invested for its research. Many terms are normally used in describing the infectious diseases. Disease refers to the presence of pathology and an infectious disease is an infection caused by a microorganism. Virulence is a term referring to the power of an organism to produce disease in a particular host. Immunity refers to the degree of resistance of the host for a specific microbe. Many infectious maladies, such as measles and chickenpox, can be anticipated by vaccines. Infectious diseases can cause many distinctive symptoms. Some are so mild that you may not even notice any side effects, while others can be life-threatening. There are medicines for a few infectious diseases, but for others, such as a few viruses, you can only treat your symptoms. You can take steps to prevent many infectious maladies. There are numerous distinctive ways that you can get an infectious disease for example – through insect or animal bites, contaminated food, and water. Pregnant mothers can too pass some germs along to their babies; the infectious diseases are usually characterized by the dominant organ system involved. There are numerous different causes of rare diseases. The larger part is thought to be hereditary, directly caused by changes in genes or chromosomes. In a few cases, genetic changes that cause disease are passed from one generation to the next. In other cases, they occur randomly in a person who is the primary in a family to be diagnosed. These diseases have terrible names. Sometimes they are even nameless. Due to the lack of investment in research, we are still new with the causes or components of most of the rare genetic diseases scientifically known to exist. Chromosome disorders are of two types numerical and structural. In some cases chromosome abnormalities happen during the development of an egg or sperm cell, and other times they happen after conception. Chromosome disorders may be suspected in people who have developmental delays, intellectual disabilities and/or physical abnormalities. Neglected tropical diseases are a bunch of parasitic and bacterial infections that affect more than including 1 billion people and cost developing economies billions of dollars each year, 836 million children. They are as regularly as possible clustered together topographically and people are habitually afflicted with more than one parasite or contamination. Successful control can be accomplished when chosen open wellbeing approaches are combined and passed on locally. Trade are guided by the local epidemiology and the accessibility of fitting measures to recognize, expect and control maladies. Various dismissed tropical maladies can be expected, disposed of or indeed demolished with made strides get to to existing secure and cost-effective gadgets. Control depends on straightforward mediations that can be carried out by non-specialists too. Rare pediatric diseases is a serious or life-threatening disease, affect people aged from birth to 18 years, including age groups often called neonates, infants, children, and adolescents. Achondrogenesis is one of the cases of pediatric rare diseases. Pediatric rare diseases have received increased attention in recent years due to greater public awareness, significantly improved understanding and treatment of the relatively more common disorders, elimination of nutritional deficiencies and the development of laws related to the treatment of rare diseases. There are many rare endocrine system diseases. Addison's infection is very uncommon. . According to the National Organizing of Wellbeing, more than 175 distinct rare diseases affect the endocrine system, a complex system of organs and glands that employs around 30 distinctive hormones to influence a range of vital functions including growth, metabolism, heart function, and fertility. Rare endocrine diseases can potentially affect any organ system, however. Rare hematology diseases fall into various subcategories, including anemia-type red blood cell conditions (e.g. sickle cell beta thalassemia, Diamond-Blackfan anemia), white blood cell dysfunctions related with different malignancies ,immuno- platelet-based abnormalities that influence platelet and plasma cell disorder. Some rare blood disorders especially those that are gene-based are simple to distinguish with a basic test, whereas others require significant investigator work to effectively analyze. Due to the expansive number of blood conditions common and exceptional, haematologists tend to be gifted agents since they got to be pros in differential conclusion.